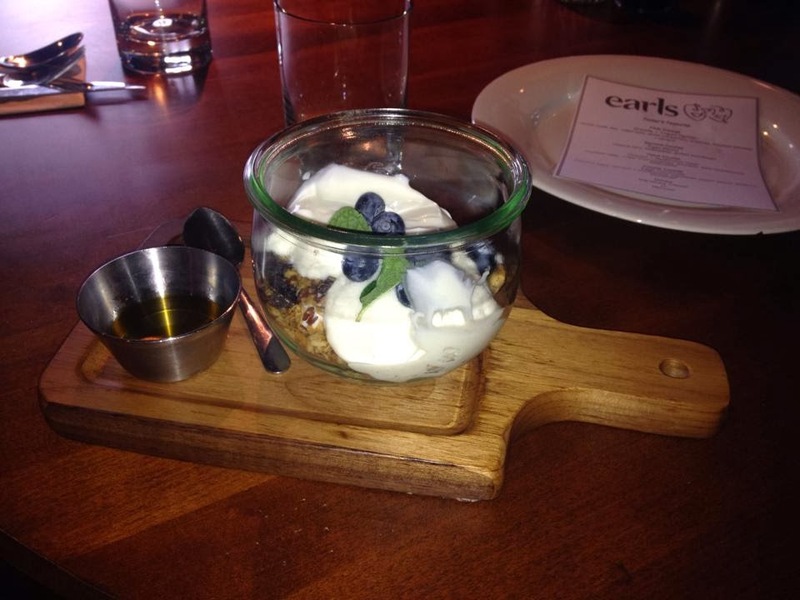 Last weekend I got invited to attend a complimentary Chefs Table tasting at Earls Restaurant. 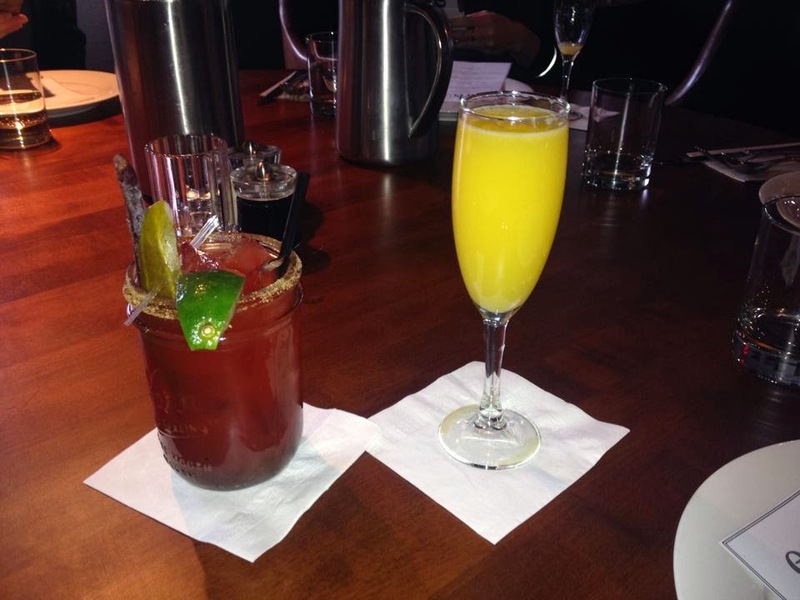 It was pretty much a few different items off their brunch menu as well as beverages. I think their brunch menu is pretty new, I don't remember them having it before. 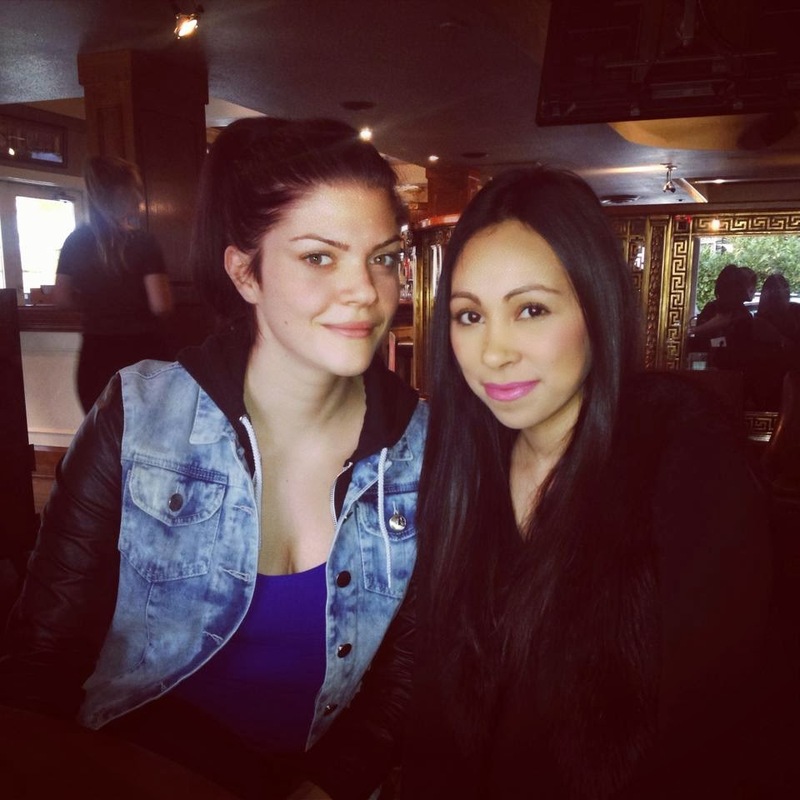 Earls has many locations all over Canada, but the one I went to for this tasting was the North Vancouver location. The management that served us was super friendly and they also had their sous chef come by our table and explain the dishes. This was my first time trying anything off their brunch menu. I usually go for dinner. One of the things I always get when I go in is their Spinach Feta dip. It is amazing!! Now let me explain to you the brunch items I got to try. I got the caesar, it came with a lime, pickle and pepperoni stick as the garnish. My caesar tasted very pickly which I really liked since I love pickles. I didn't try the mimosa but my friend really liked it. Flax, oats, dried cranberries, almonds and pecans on plain yogurt. They served it with a side of honey. You're able to add a little or as much as you want. Of course I added all of it because I like my sweets. 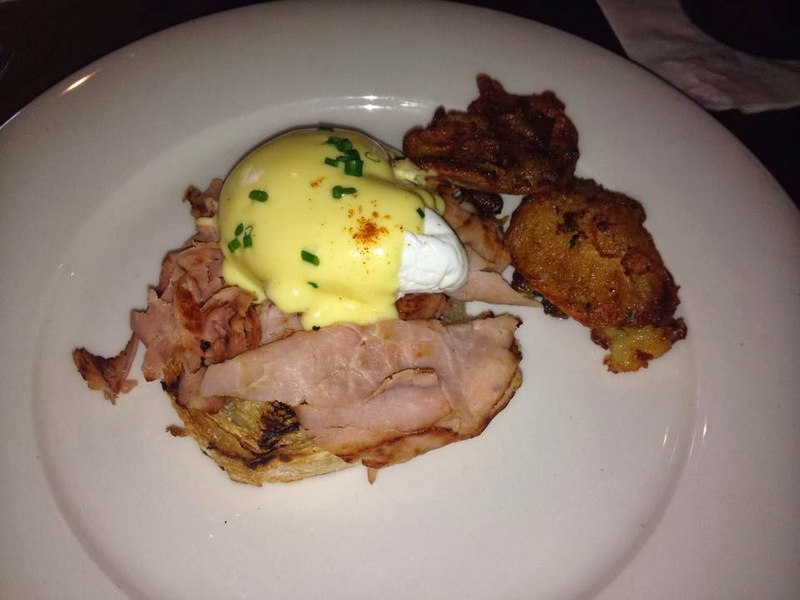 Ham, hollandaise sauce, eggs, sourdough. Delicious and would order this again! Poached eggs, crispy fried potatoes that were amazing! 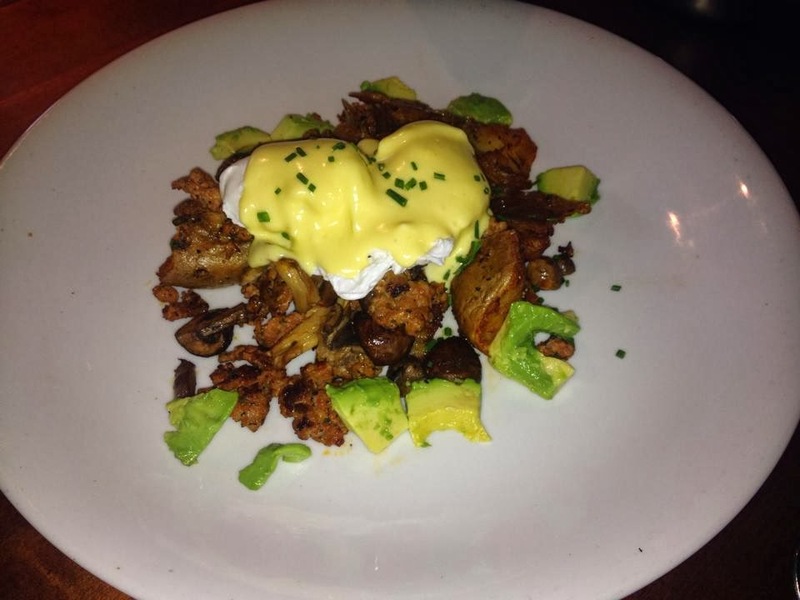 Kinda greasy but still delish, hollandaise sauce, avocado, chorizo and mushroom. I don't eat meat that often so because of the chorizo this is probably something I wouldn't normally order. If you like chorizo then it's a must try. Mmm I seriously LOVE going out to eat for breakfast/brunch. Thanks for the review!